Project Personal Freedom is 365 days of insight on what liberates us, what ignites passion in our lives, what causes us pain, and the ease of letting go of that pain. 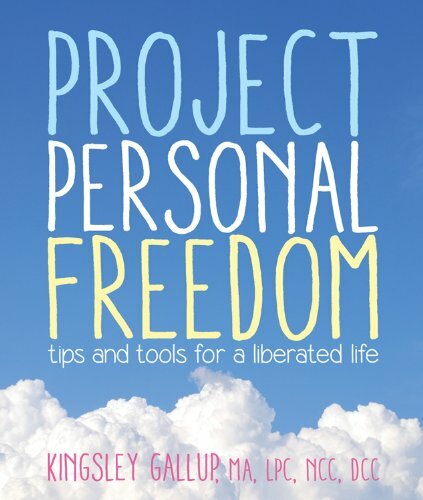 Along the journey to personal freedom, Kingsley Gallup provides the tools necessary to celebrate life, to embrace desires without compromising core values, and to do so with passion. Gallup’s most central points are the importance of choice, “being freely and unapologetically you,” of living for now and never allowing fear to define who you are. One of the things that make this book shine is the inclusion of 365 witticisms and adages from philosophers, celebrities, musicians, and fellow writers. From Marilyn Monroe to Voltaire to Dr. Seuss, Gallup uses their quotes to supplement her beliefs, adding humor, timelessness, and universality to her words. She also offers up many shrewd and timeless adages of her own. While some may find aspects of Gallup’s approach a tad selfish, especially when she says things like “The next time someone says, ‘It’s all about you, isn’t it?’ how about saying, ‘Why yes, this is about me. Who else would it be about?’” her underlining and central message of “learning to love ourselves” resonates and transcends.